I hope this post gets you on team beet (if you aren’t already), as there are so many benefits that come along with this crimson veg. I am trying to find more interesting ways to fit beets into my daily diet, but always end up roasting or juicing. Which are both great, but I need to start switching things up. 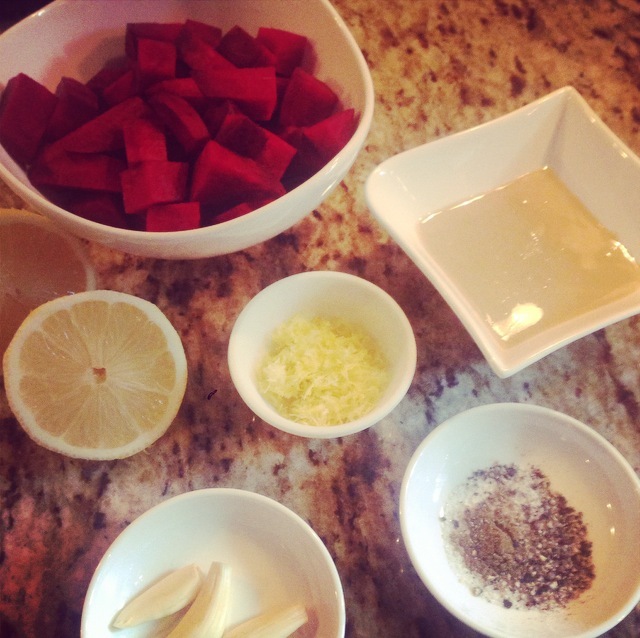 This weekend I made Beet Hummus. It was a great change to my traditional chickpea hummus and just as easy. 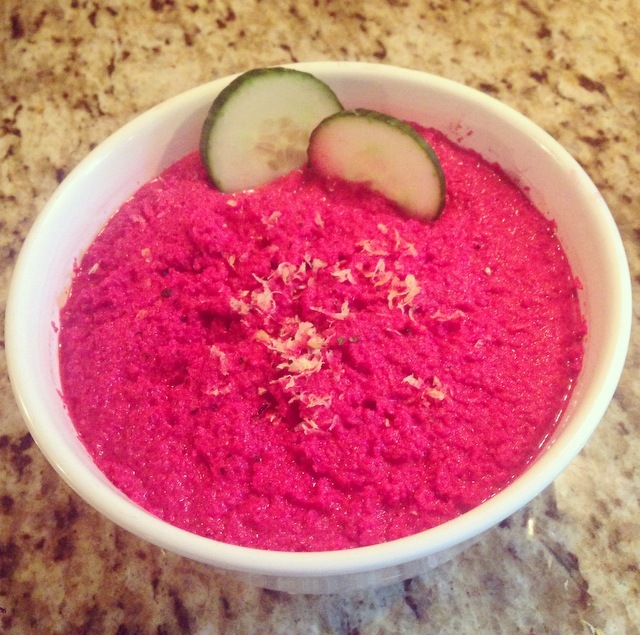 Simply swap your chickpeas with some raw beets. Combine all ingredients in food processor and puree. Keep adding water until you reach desired consistency. Top with lemon zest and pepper and serve with your favourite vegetables or crackers.